The Department of Library Science has been established in the year 2009. 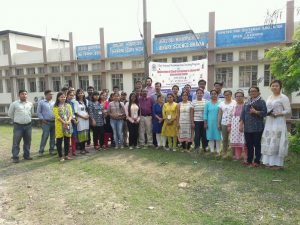 The Masters of Library and Information Science programme at Assam University, Silchar educates students in the principles, practices, and ethics of library and information science, imbues them with a sense of service to diverse populations, and prepares them to be lifelong learners and active leaders in a rapidly changing information and knowledge society. The Department of Library Science of Assam University is committed to the University’s mission of teaching, learning, research and community services. 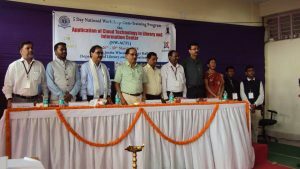 As a professional department, it will be the department of choice of Assam in general and Barak Valley in particular, which will educate its students, in both theory and practice, to identify, acquire, organize and disseminate information. By integrating technology across the curriculum, the department will impart the knowledge and skills of the profession in preserving and providing access to the records of our cultural heritage and the documents of scholarly research. By nurturing research, innovation, and service, the department will strive to offer high-quality student-centered programmes necessary to prepare library and information professionals in the knowledge society of the 21st century. The Department of Library Science would be recognized both nationally and internationally as a leader in producing information professionals. The department would be noted for its production of trained and professionally qualified librarians and other information professionals who are motivated by leadership and service. Those LIS Professionals would be knowledgeable and ethical in their professional practice. While recognizing the rich cultural and technological heritage of their fields, they will be prepared to make themselves adoptable in changing the environment and also would be lifelong learners. Nabin Chandra Dey (MLISc, MBA, PGDCA), Ph.D. Assistant Professor IT Applications in LIS, Human Resource Management, Statistical Techniques. 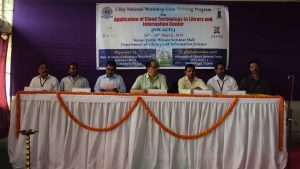 The Department of Library Science has been established in this university in view of the demand of the LIS professionals in the academic and corporate sector of North Eastern Region in particular and entire India in general. The National Knowledge Commission has recommended to establish 1500 universities or institutions of higher learning in India which may require trained LIS professionals to be appointed as faculty members in the Department of Library and Information Science/ University Librarian / Deputy Librarian/ Assistant Librarian/ Information Scientist/ and other Professional positions both at senior and junior level. Obviously, there will be a great demand of the trained LIS professionals for an appointment.